Hi everyone, Valentines Day is just around the corner; do you have the special card and box of chocolates ready? 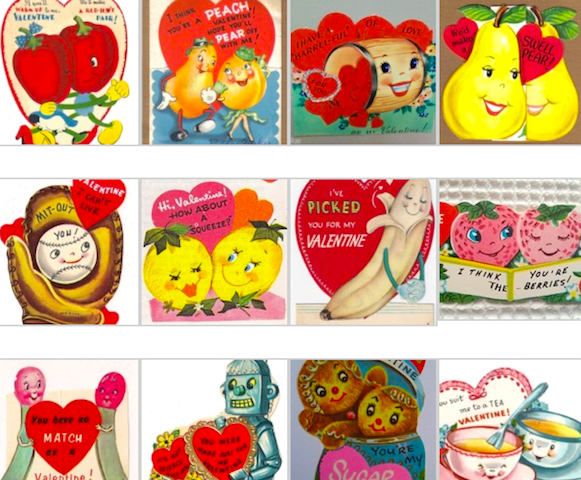 Here are some of my favorite vintage 1950s anthropomorphic Valentine cards; just love the smiling faces!! You can click on the pics to enlarge them.